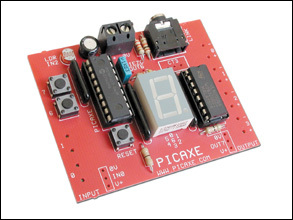 Experiment with more advanced features offered by Picaxe microcontroller. Measure temperature through a Maxim DS18B20 sensor and obtain interactivity with recourse to audio response using text to voice offered by Google translate. Temperature sensor Maxim DS18B20 is added to the AXE050 board reads temperatures. The advantage of using Picaxe18M is that the same ports are used for control and programming. Before carrying out this part of project, Voice Operated Internet Control of a PICAXE (Part I) must have been implemented, i.e. experimented already with simple switching of a LED on the AXE050 board. The firmware on the chip will be the same as in Part I, and the same as in Internet Control of a Picaxe published here long time ago. RS232 control is done again in DOS environment, using Kermit for DOS. 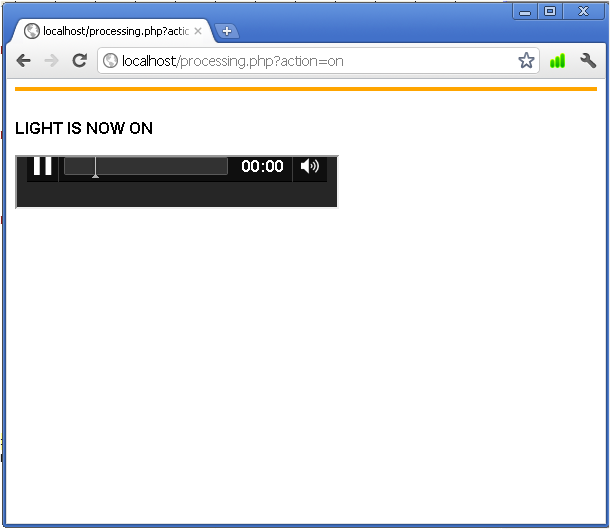 Kermit scripts are run by PHP, to control AXE050. Kermit’s executable MSK316.exe is installed in same directory as all files. 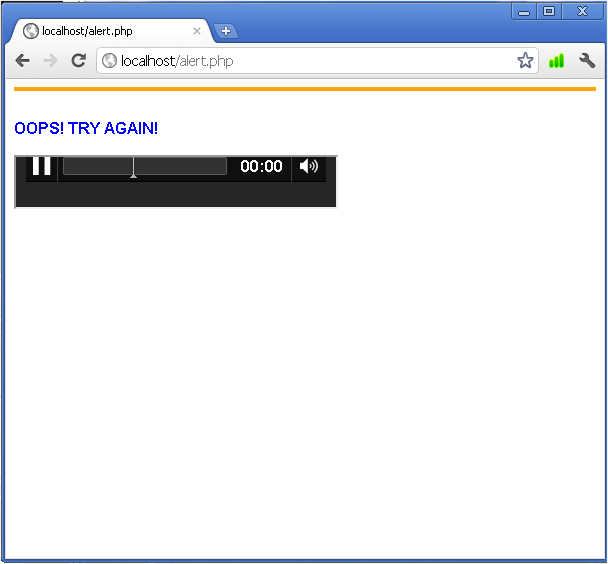 As mentioned in part I, all files will be in c:\xampp\htdocs. Note: COM2 is used at baudrate of 4800 setup in Control Pannel of Windows XP. The new command is input /nowrap, being used to obtain output from Kermit and pipe it into the server. Again we use new command input /nowrap. All batch files are then converted into .exe using Bat_to_Exe_Converter. As result, will have two new executables sta.exe and temp.exe in the folder htdocs, besides the previous part I executables ledon.exe and ledoff.exe. Substitute index.html of Part I with new one as shown below, again within htdocs folder of Windows-based XAMPP server. NOTE: iframe is used to avoid opening a new page and also problems in starting automatically Google’s voice file not starting automatically. In order to view the LED switiching on and off a webcam setup is required as in Part I. Simply click on the microphone and this should prompt you to speak. 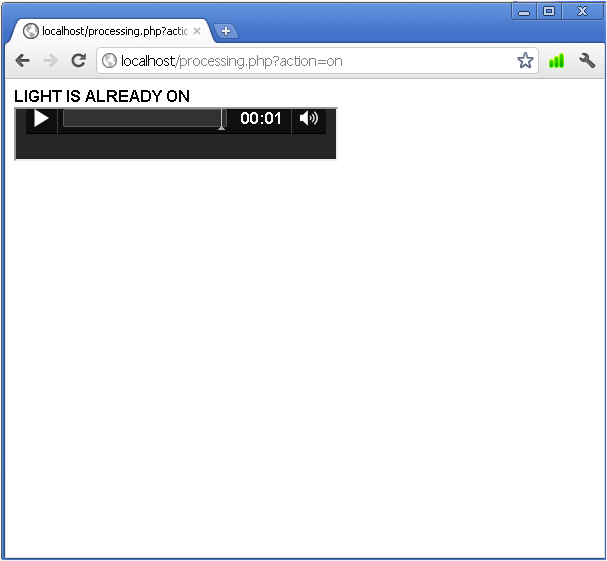 This page will redirect also to index.html. 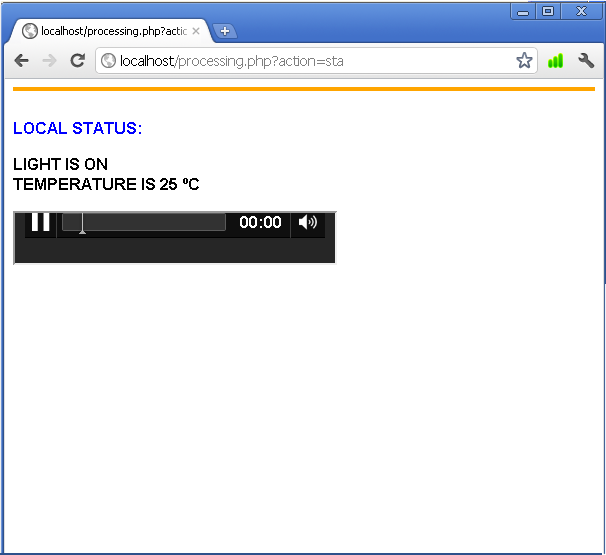 Finally, try voice commands “light off”, “temperature” and “status” when light is both “on”! and “off”. If all is functioning correctly. all these voice commands will be recognised, and there will be interactivity when commands are repeated for cases such as of “light on” and “light off”. More vocabulary of voice recognition can be added improving speech recognition. Databases can be set up, not only to log issued commands, but also to obtain local conditons, and general status. Additional sensors can be added, such as humidity and light (LDR on AXE050 can be used to measure light at certain extaint). Graphs can be displayed, and trigger points set, adding support for email and/or sms when events or alarms occur. Voice recognition has been achieved and demonstrated using Google servers (that effectively are becoming Cloud voice servers), obtaining control and interactivity with a real world application. In less than a decade, voice recognition is starting to come to age, although is still not there fully yet. An exciting perspective that opens up, is the near future availability of speech recognition in mobile phones and more and more devices responding to voice commands. 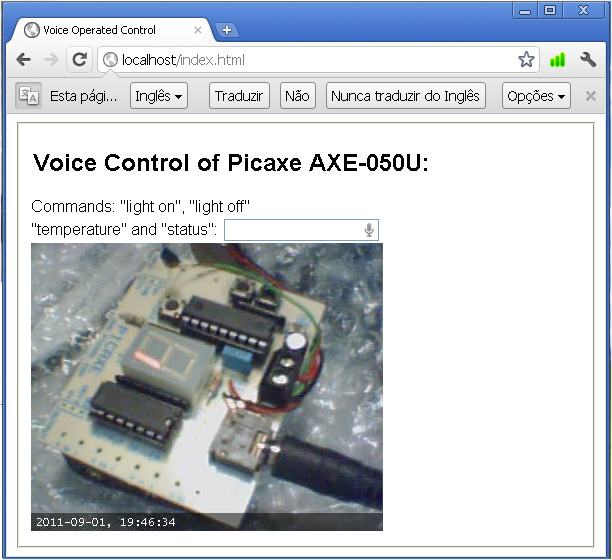 This entry was posted in Electronic Projects, Internet of Things and tagged DS18B20, InternetControl, IoT, Picaxe, Picaxe-18M, Voice Operated. Bookmark the permalink. I was impressed by your projects and while I was looking through them, I thought if you could help me. I have a home alarm system (to be made in LabView VI) project and I need help with it as I have been encountering many obstacles. Please let me know if this is possible. I await your reply. Welcome to my blog. I am afraid I have very little time to help you. Impressive. I would imagine you could make this app completely hands free. Instead of requiring the user to click the input microphone, there is probably a way to have the page auto-fire the microphone capture button upon page_load as well as on a continuous, repetitive basis. Welcome to my blog. At the moment one cannot make it automatic. Hopefully google will allow it in the future. You’re welcome. And thank you for letting me know this blog helped you.